The thing I love most about the sport of fishing is that size is not a limiting factor. Growing up, I participated in sports and thrived on competition until my early high school years when it became apparent that my 5-foot stature no longer intimidated my opponents or even came close to measuring up to the competition. Size definitely mattered, so I traded my number 11 jersey for a seat on the sidelines as a spectator. My competitive spirit has never dulled over the years though, so when I was first introduced to the sport of fishing, that spirit came rushing back. Only this time it was more about personal achievement rather than beating a team of opponents. No more sitting on the sidelines. But just like any sport, you need a coach to show you the way and lead you to the winner’s circle. Over the last five years, I’ve come to the conclusion that the secret to “catching” isn’t actually a secret at all, but rather the ability to recognize and adapt to changing conditions and apply different techniques. All too often people adopt a technique, perfect it and use it over and over again because that’s what they know. We were always taught ‘if it ain’t broke, don’t fix it’. If there is one thing you pick up by reading this article, it’s that complacency holds you back. You will never be better than what you were yesterday if you always do the same thing. 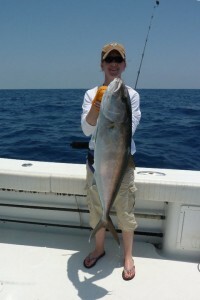 Recently I had the chance to fish with Captain Jimmy of On Time Sports Fishing. Jimmy is a legend in the fishing community and has been my “coach” on the water for the past five years. He runs a 31 foot SeaVee that he trailers from location to location putting anglers on their moving targets. Jimmy handed me some leader and I started to tie rigs based off of his setup. As a perpetual student, I can’t help but ask why something is done the way it is, so that later I can apply it to other similar situations. When we started our first drift, we were marking some nice sea bass and sure enough, they started coming over the rail pretty quickly. 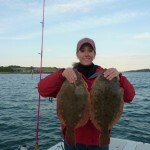 Because I do a lot of ground fishing for flounder, my jigging method was to jig it up and pound it down. As I watched, Jimmy was out catching me 3 to 1. Little did I know, he was silently observing my technique and before my competitive frustration reached its peak, he said…”Allison watch how I do it. You gotta wiggle it quickly just above the bottom”. And before he even finished his sentence, his rod was bent over with doubles. So I watched him a few more times and began the quick-wiggle technique and started matching him fish for fish. I almost added something extra to the technique by singing the song “Wiggle it just a little bit” to see if that gave me an extra edge, but decided to spare the ears of the anglers and not scare off the fish. Once again, with a slight adjustment, my catch showed improvement. I spent the rest of the day laughing and learning with one the best captains there is. I was careful to pay close attention to the reasoning behind the methods. 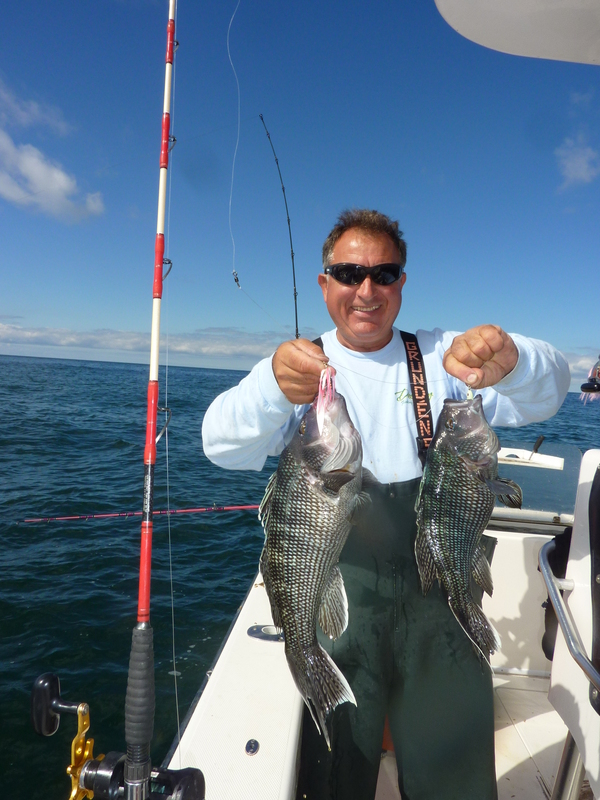 Captain Jimmy, my “coach” on the water, helped me catch the biggest black sea bass and fluke I’ve caught to date and provided me with the knowledge to repeat it. 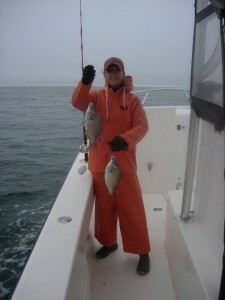 If you want to catch and learn, check out Jimmy’s website: On Time Sports Fishing Charters to book a trip. I’m telling you, that in itself will up your fishing game. This is the time of year we all dread here in New England. In fact, I saw a picture of the Helen H party boat the other day docking up in Montauk and it looked like an ice sculpture of a boat that someone created. So far, this winter has been mild. So mild, that we have kicked ourselves a number of times and questioned whether we should “un-wrap” our beloved and re-launch it. Last night was the first real sign of winter we’ve had in Boston. I looked outside to see the city lights and saw an odd white dusting on the ground. I can say that I was actually taken back, like it was an “odd” sighting. 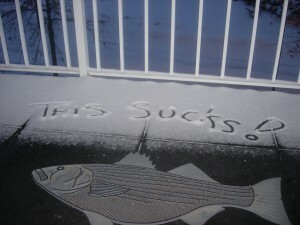 Is global warming escalating that much, that we are appalled when it snows in mid-January? 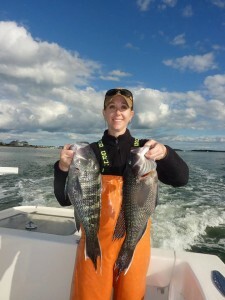 As the winter depression sets in and the year-long projects await attention, we begin to look for some connection to fishing. We plunk down on the couch and watch all the fishing shows we taped because we were actually OUT FISHING while they were airing. We begin to disassemble our gear, polish it, and relive the action we had while using it. Oh the humanity. Just last week, I scrubbed the refrigerator, packed away summer attire, organized my closet, gave the cat a bath and determined there has got to be something better than this! That’s when the laptop came out and the Google search for “Fishing Shows” was frantically typed. 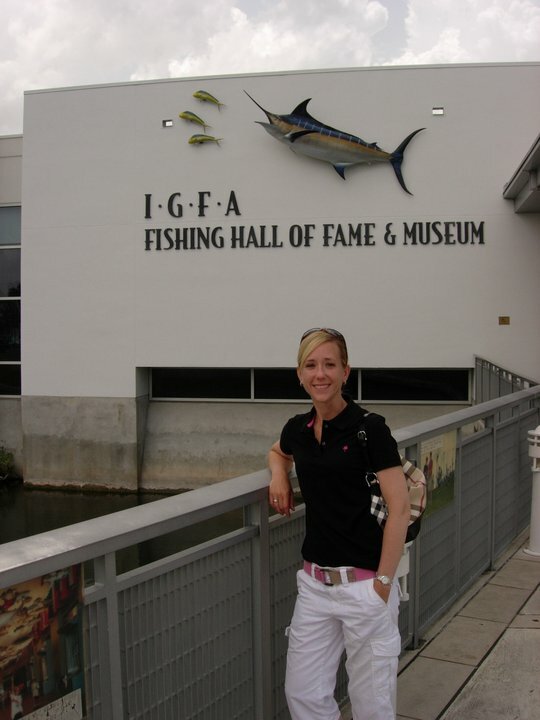 I have been an advocate my entire fishing career about the benefits of seminars. I guarantee you will learn and take away something from each and every seminar you attend. It may not be what you expected to learn, but I would be amazed if you didn’t walk away with a piece of knowledge you didn’t previously possess or a desire to try something you hadn’t even considered before. I felt like a “junkie” that just needed a quick fix. If there were no shows, we would head to Bass Pro to view the stripers in the tank and fondle fishing gear in at least 20 aisles. We found the Providence, RI boat show underway which included fishing seminars. And just like our impromptu fishing excursions, we were dressed and in the car within minutes on our way to a fishing “fix”. Because the trip wasn’t planned, we were on a very tight schedule. Upon arrival, we headed to our first seminar room. After attending each and every seminar available in the winter, you get to a point where you’ve seen every speaker, or the same speaker do the same presentation multiple times. It was our lucky day. First up: Bill Brown of Billfish Sport Fishing. I’m so glad we saw him speak. There are some fishermen who could compose an encyclopedia full of fishing knowledge, but have a difficult time translating that to the more inexperienced angler. Not so with Bill. He used to be a teacher and it showed. Captain Bill has been on ESPN, NESN and his RI state record Thresher Tail is on permanent display at the IGFA Hall of Fame. 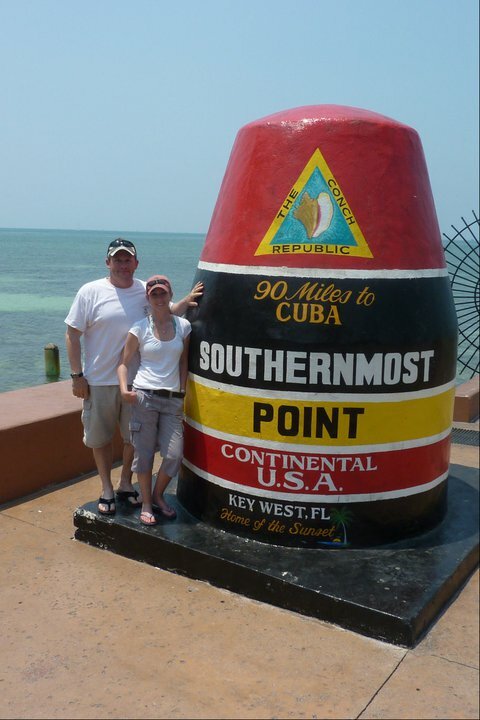 In the off-season, he ventures off to Florida and Cuba to do what he loves for himself. The sparkle and passion exuded from him during his presentation and transferred to the audience. You could see the anticipation and excitement for the sport begin to show in all of us. What I loved most about Bill’s seminar was his carefree attitude in sharing tips with us. Some fishermen don’t want to share tips that would actually improve your fishing game and just give you generalizations of fishing in your area. Bill sincerely wanted to share and help us improve and catch more fish. He stated “I want you to walk away with 1% here, 1% there. Trust me, you will catch more fish, but if you fish right next to me, I will still out-catch you”. I can say that I did walk away with 2 new tricks that I will apply this year and be sure to email him my thanks when I see the results! We then headed to New England Big Game Fishing Strategies with Capt. Jack Sprengel at East Coast Charters. His seminar went over specialized techniques for catching Shark, Tuna and Swordfish. I have seen Jack speak before and he is on the Esca Pro-Staff team with me. When I hear the name “Jack Sprengel”, the word that comes to mind is Respect. I have the utmost respect for this fishing expert. He is a genuine guy full of heart, determination and the results to back it up. If you have ever wanted to fish for Tuna, Shark or Swords, this is your teacher. The only complaint I had on this seminar was the time. I could have listened to him for hours and still felt like it wasn’t enough. He and Capt. 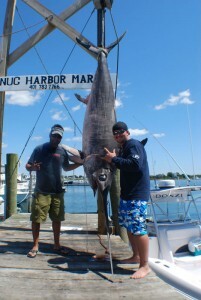 Lou DeFusco of Hot Reels Fishing Charters broke the Rhode Island State Swordfish record in 2011 with a 434 pound monster. After the seminar, we visited Jack and Lou at their booth and flipped through their photo book of trophy catches and listened to the stories behind them. It jump started my imagination and dreams of being in a 3 hour fight with a magnificent sword and landing a once in a lifetime like theirs. Again, the fact that Jack has had so many “once in a lifetimes” was truly inspirational. That’s the great thing about the winter in New England. You have time to dream about the unknown that will be your next fishing season. You never know, it could turn into your best story yet. Setting goals in life helps you work harder to achieve greatness. Why, because we outline what we want ahead of time; putting more pressure and accountability on ourselves to actually produce results. We push ourselves to put our money where our mouth is, which is risky. Most of us want to be able to back up our promises, even if it is just to ourselves. I personally put a lot of pressure on myself to succeed and accomplish what I set out to do. Not because I am trying to impress anyone else, but because I want to be proud of myself. Success can mean many different things to different people, but one thing is constant across the board; it is important to all of us. Whether being successful means having monetary riches or social stature, we all have our own vision of what it is to be successful. When my time’s up, I want to “check out” of life knowing I left no stone unturned, no adventure untraveled and no regrets. To me, success is trying and learning new things by stepping outside of my comfort zone; being proud of the results I was solely responsible for. Seeing the world along the way and ultimately being able to say “I am happy”. Each year, I push myself harder when it comes to fishing. 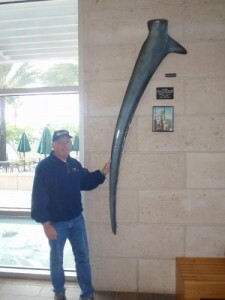 During the winter, I set goals for the upcoming fishing season, and then work my “tail” off to achieve them. Some people ask if this takes the fun out of fishing. I think it does just the opposite. 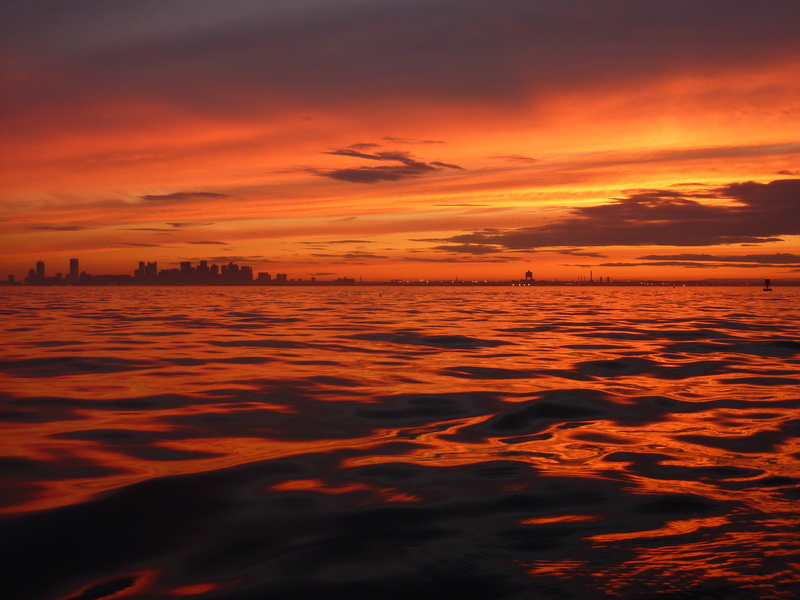 The more time you put out on the water, I don’t care who you are, you set silent goals for yourself. You may call them “wants”, but ultimately they’re goals. “This year I just want to catch a Bluefin Tuna”. Even though it is a “want”, it is also a goal of yours. You probably put all your efforts, time and money into reaching that goal. And how fun is it when you actually have your “goal” at the end of your fishing line? I can tell you personally, the grin on your face will last for days, if not weeks. Goals help us stay on target; they give us focus. Even if you don’t reach your exact goal, you may be surprised at how much better your game is as a direct result of just striving to achieve it. I have met many people, been introduced to the “right” tackle and caught more fish as a direct result of this. It forces you to learn and essentially “earn” more. (1) Put more time out on the water this year vs. last year. The more time you put on the water, your chances of catching a fish of a lifetime increases. 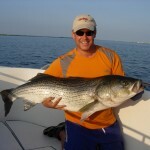 Anglers who catch 70 pound stripers put a hell of a lot of time into fishing. They don’t just go out one Saturday afternoon and win the lottery. If it were that easy, they wouldn’t be called “fish of a lifetime”. Current Standing: Last year the majority of my fishing was done in the fall. So far I have logged more time and I strongly plan on racking up the days out there. (2) Keep better fishing logs. This is a difficult, but essential goal of mine. If you’ve attended fishing seminars or know a network of fishing professionals, you are well aware of the importance of fishing logs. Keeping track of each day you spend out there fishing will improve your game tenfold. 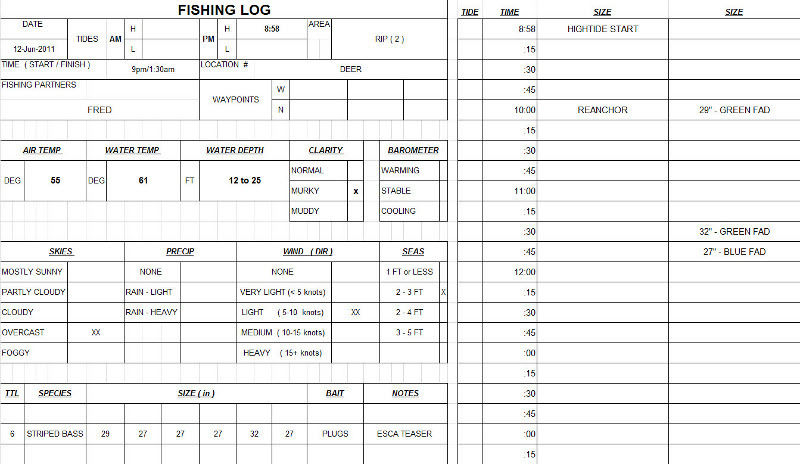 Logging where you fished (exact coordinates/waypoints), what species you caught and at what times, what the wind direction was, water temperature and what tides you fished will help you build a book of success. It will cut down on the amount of time you spend on the water “not catching”. This is a tough one for me because I tend to get caught up in the moment of fishing and forget to write everything down. Current Standing: The first handful of flounder trips I did, I will come clean and say that I did NOT keep an accurate log. 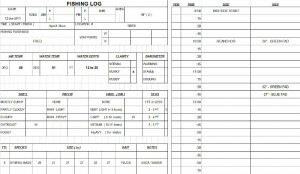 That has changed and I now log everything – down to the inches, pounds, exact time each fish was caught, where, how, what tackle was used, wind direction, wave conditions, tide and water temps. Next year I will be thanking myself and saving myself a lot of time and heartache. (3) Achieve a Personal Best. To me, size is a factor and does matter. Catching bigger fish each year and achieving a personal best is a constant goal, and a “BIG” one of mine. I never compare myself to other recreational anglers or set out to beat them. The only angler I’m competing against is me, and I’m one tough competitor. 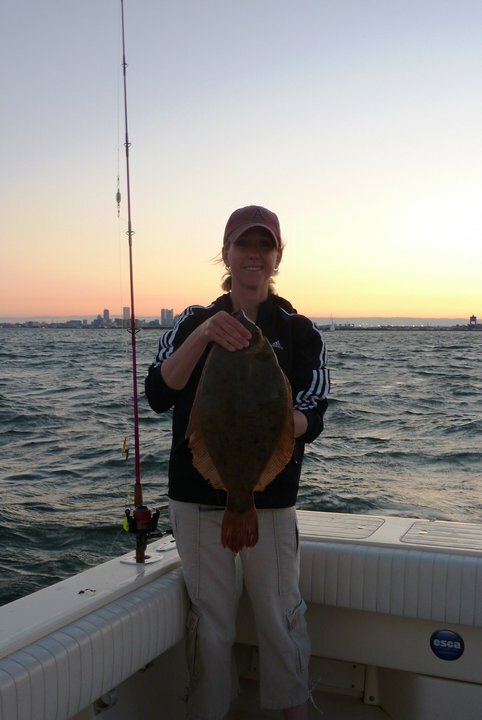 Current Standing: First fish of the season for me is the winter flounder. I am proud to say that I have achieved this goal. Last year’s personal best was 3lb. 3oz, this year was 3lb 13oz. 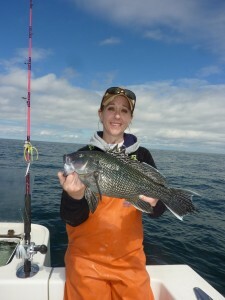 My largest striped bass last year was 38lbs and largest bluefish was 12lbs. I am still aiming to beat both of them. Stay tuned…. (4) Catch a new species. This goal is also an important one for me each year. Living in Boston and close to the Cape, I am fortunate to have many species available to go through before I have to start visiting the West Coast and other countries. This is the exciting factor of fishing. Learning the feeding habits, favorite hang-outs and fighting techniques of new species. The excitement of the unknown, the hunt and ultimately the experience of catching exactly what you set out for in the seemingly endless ocean is a great thrill. Current Standing: I have knocked this one out of the park. I took a trip to the Cape and caught Scup for the first time. 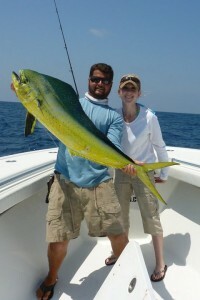 I went to FL and caught Mahi-Mahi, Amber Jacks, Permits and Tarpon. This is the biggest achievement so far for me and I would be one lucky gal if this goal is beat next year. 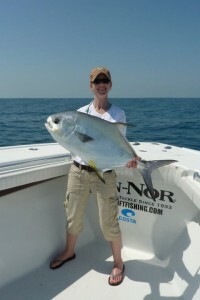 (5) Travel to a new fishing destination. If you set one goal for yourself, seriously consider this one. Experiences are irreplaceable. If you travel to a new fishing destination, you are not only experiencing a new fishing scene, but so much more. From culture and dining choices, to history and architecture, your trip will allow you and your family to experience time together and memories that will last a lifetime. Current Standing: This was an easy one for me. Not so much for my wallet, but this is what we work so hard for. We should get in the habit of rewarding ourselves and taking a break from the daily grind. 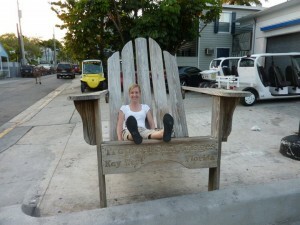 We went to the Florida Keys for a 2 day fishing trip and 2 day discovery, relaxation trip. We had a blast and the times of our lives. One piece of advice: if you have this as your goal….make it another goal to book more vacation time than you think you should. We all do this. We feel like we are taking too much time and the working world can’t go on without us. The truth is, the working world will reap the rewards too if you take a longer vacation and come back a new person; fully invigorated and happy. Setting goals is easy…doing the legwork is difficult…achieving them is greatness. 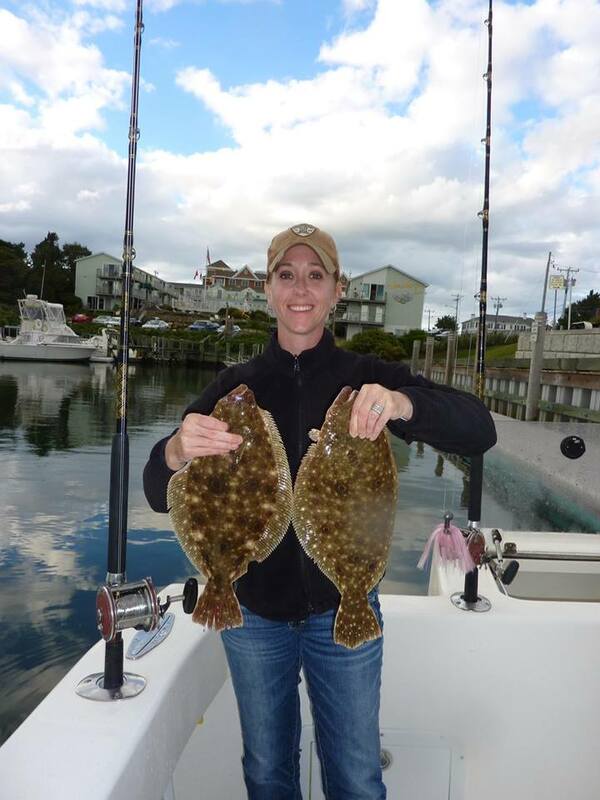 “Light Up” your fishing game with more catches…guaranteed! We all know that the sport of fishing is constantly evolving and the technology being applied to some of the products on the market today is so incredible that given a quick glance, humans might mistake them for real fish. Heck, some of the fish finders out there practically scream at you “Fish 30 feet down, drop your line now”. In the next decade, I can see us with our robotic swim baits and remote controls on our fishing rods maneuvering and swimming our lures right into the fish’s mouth. Every year more and more of these innovative products make their way to the market and magazine publications, claiming more fish to the purchasing angler. But how do you know which ones really work? Do they all work? For anglers that haven’t been exposed to a network of product testers or trial and error outings, how do they know that they are buying the right lure for the species and conditions they fish? I will admit that I have boxes of tackle in closets covered in thick layers of dust which have never caught a fish, just caught the fisherman who bought it; me. A year ago I was introduced to a lure called Esca. The angler showing off this little contraption is very well known in the New England fishing scene, so my ears perked right up. He went on to say that he caught stripers, cod and flounder all by enhancing his rig with this attractant. Hmmm, a lure that works for multiple species…..he was reeling me in now. He explained how the lure worked and how he rigged it to his line. He handed me one of these lures and assured me that I would quickly become a believer. Well that is how I came to have boxes of “dusty” collector’s items in my closet, but for some reason, I was really hopeful with this one. I’m not sure what happened to me as a child, but I love lights. Anything sparkly, shiny and bright grabs my attention. Maybe this is why I was immediately intrigued and drawn to the Esca. See, when this lure makes contact with saltwater, it triggers the unit to produce light waves that act as attractants that are said to trigger the feeding and biting instincts of fish. The ocean is filled with light producing creatures that use their “flash” to attract prey or protect themselves. So the concept behind this lighted lure stands to explain its success. 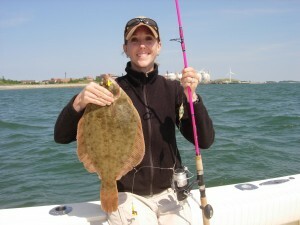 The first species I tried this on was Winter Flounder. There was no method behind my madness, just the species I was going fishing for that day. I rigged it to my line with a 4 foot leader leading to my flounder rig. Esca has 4 different choices of lights: Green Blink, Green Fade, Blue Blink and Blue Fade. I was told that the Blue lures were for depths of 100 feet or more. Green blink was the one I was given, so it was my product tester. I only had one, so my husband was fishing without it. I can easily say this with confidence and all the love in my heart for him…I always out catch my husband. It’s either the extra patience or attention to detail that women have or dare I say, just the way it goes, but this time was different. I killed it! I out-fished him to the extreme. I believe that was the first time my husband fished with my pink rod. He wanted to see what was happening. What happened? What happened was we went out and bought more Escas. We bought one in each color. I know what you’re thinking and I am sure it’s the same as what we thought. One time use doesn’t prove anything. It could have been our relative positions to each other on the boat. Was my husband changing out his bait as much as me? Was his bouncing technique different than mine? So we tried again. We mirrored each other on our next trip except for the Esca. Within 30 minutes, my husband added his Esca to the rig and he was quickly approaching my stats. 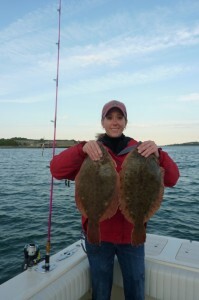 Flounder are sight feeders. We have been fishing for these flatties for 3 years. When the wind is howling and the sun is nowhere to be seen, waves are 3-5 feet in the harbor and the rain is beating down, we don’t catch them. 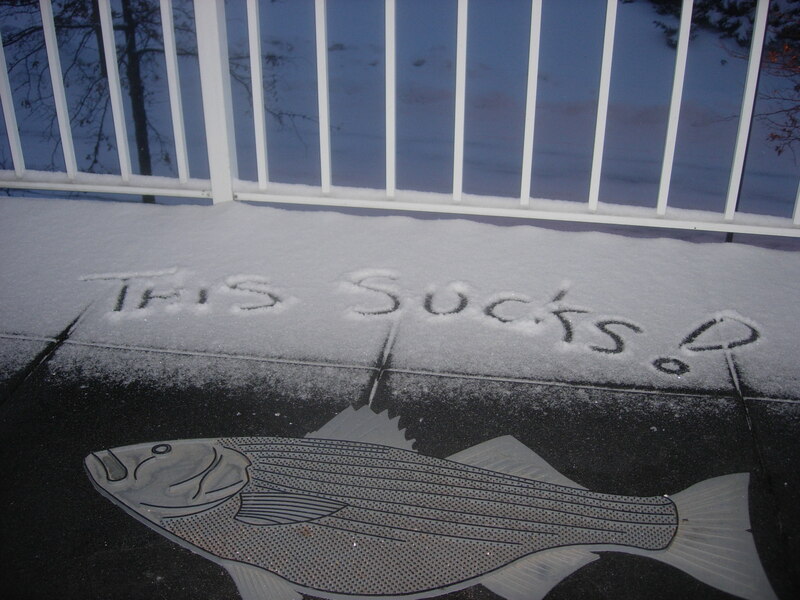 We may catch a couple after a large number of drifts, but for the most part, those types of days…no one is out fishing for them. Well no one but GoPogy. 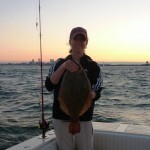 This year we went out in those conditions using the Esca and I caught my largest flounder to date. I can compare this to previous years going out in the same conditions and catching a couple small, aggressive feeders. The Esca is key when visibility is a challenge, especially for sight feeders. This lighted gem produced results on a terrible weather day, as if it were bright blue skies, 0 waves, and the most beautiful day of summer. 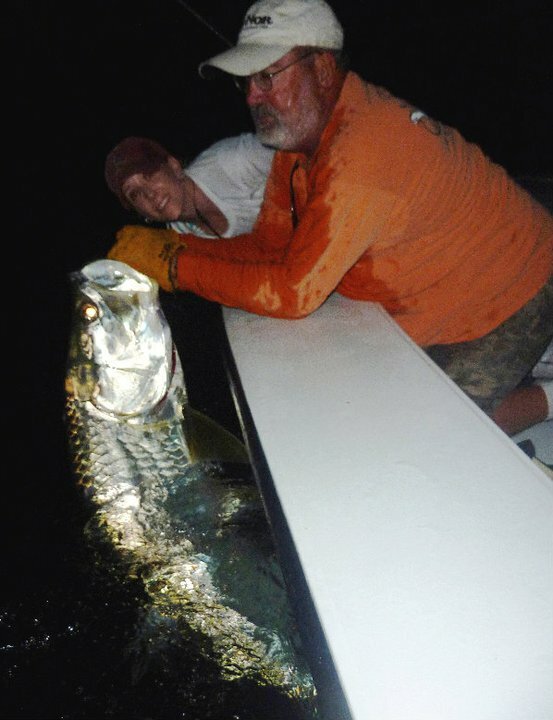 We then moved this lure into our night-time striper fishing and I had the same results. I won three derbies last year using this on my rigs. I used to be strictly a bait gal. I fished live and dead bait. Last year was my first year really getting into plugs, lures and plastics. 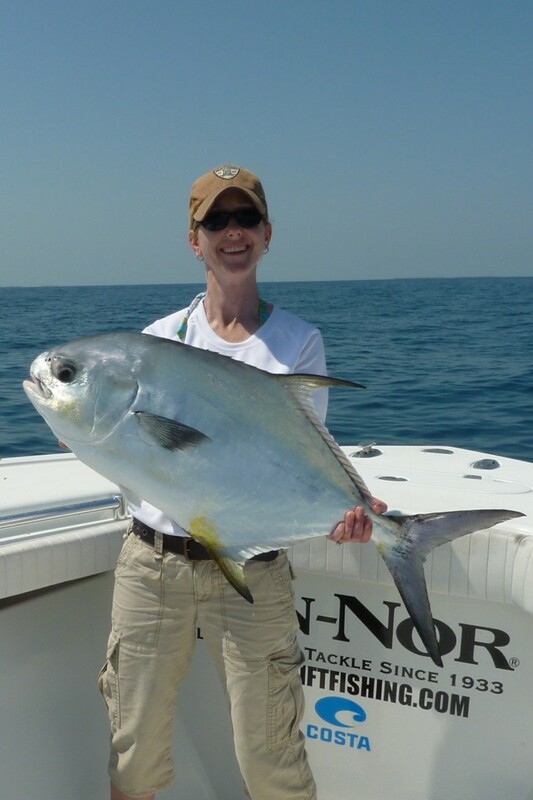 Each year I try catching new species, fishing in new locations and trying different methods to catch. Since the Esca hit my line, this is one piece of tackle that STAYS on my line. I enhance whatever I’m using with it. If you are fishing plugs at night, not only is this lure great for the fish, it’s great for the angler. Even though you can use depth colored line, the Esca helps us watch how far out our lure is going. This is crucial for plug placement. This has been one of the biggest advantages of night-time fishing for me. Seeing the exact placement of my lure before I send it down to the fish is a bonus and value-add that alone makes this one of my favorites. This lure requires no batteries and has 100 hours of life; that’s a lot of fishing. My goal has always been to share what works for me. Over the years we have learned many things from friends and professionals that have propelled our game in ways that would have taken us years to figure out, so when I can pay that forward I will. Esca also believes in their product so much that they have a money back guarantee. When I’m getting ready for a fishing trip and prepare my rigs, I hum the Debbie Boone tune “You Light Up My Life”. I know that song wasn’t written about the Esca since it came out in the 70’s, but I think if a remix comes out, it should be. This product has definitely brightened my game. Check out their site http://www.usa.escaglobal.com/ for more information and details. Their dealer directory will help locate a tackle store near you that carries it. If there isn’t one near you, you can order directly online. GoPogy gives the Esca 5 fins up! 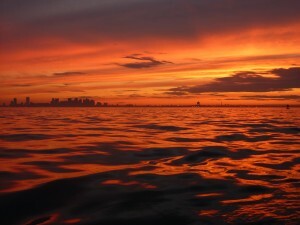 Once Again I feel blessed to live on the shores of Boston Harbor and Broad Sound. 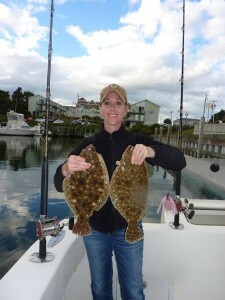 Great fishing is what it’s all about and that’s exactly what took place this week. Bass and Bluefish were being taken from shore, boat and kayak during flurries of bird action in the harbor and around the inner and outer islands. Broad Sound has been a virtual bee hive of activity in the late afternoon consistently all week with huge supplies of herring, mackerel, pogies and even a few rumored schools of butterfish. It looks like the big boys are going to hang around for a while. Speaking of big boys, Mark Arsenault of Revere caught a 48” 38lb cow at Headaches Ledge live-lining mackerel, while Captain John Dommings landed a 45” 35lb bass over at Middle Ground with many bluefish catches, the largest of the bunch – a whopping 17 pounds. And if that doesn’t get the excitement flowing, it looks like the pogies are starting to move in and in good numbers. Make sure your tackle box is stocked with snag hooks. Be ready, not sorry. There are some big fish out there that are looking for some big bait. Live bait, however, has not been the sole producer of all big catches this week. 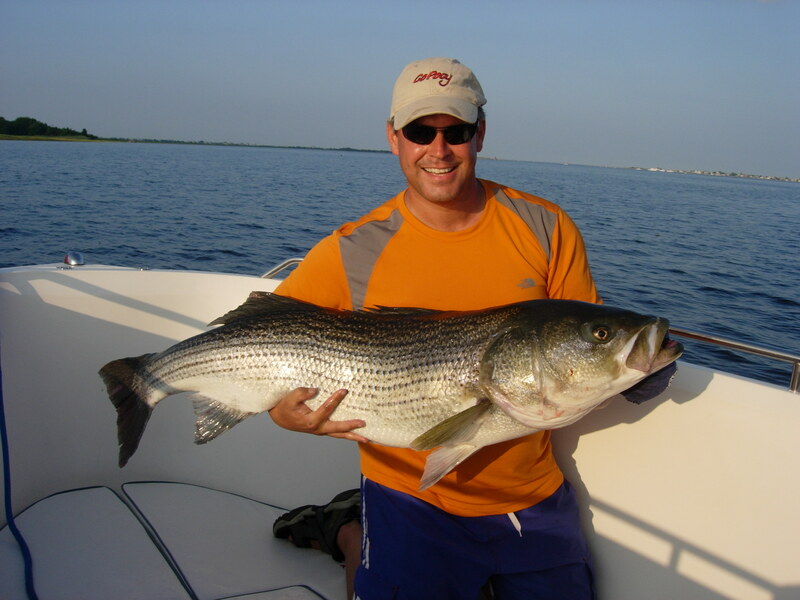 John landed a 29.9lb 42” Striper from his kayak just off of Winthrop Beach using a rubber shad. This bass was so hefty it snapped his rod right in half. It was a true fight to the finish and we want to congratulate him on his prized catch. 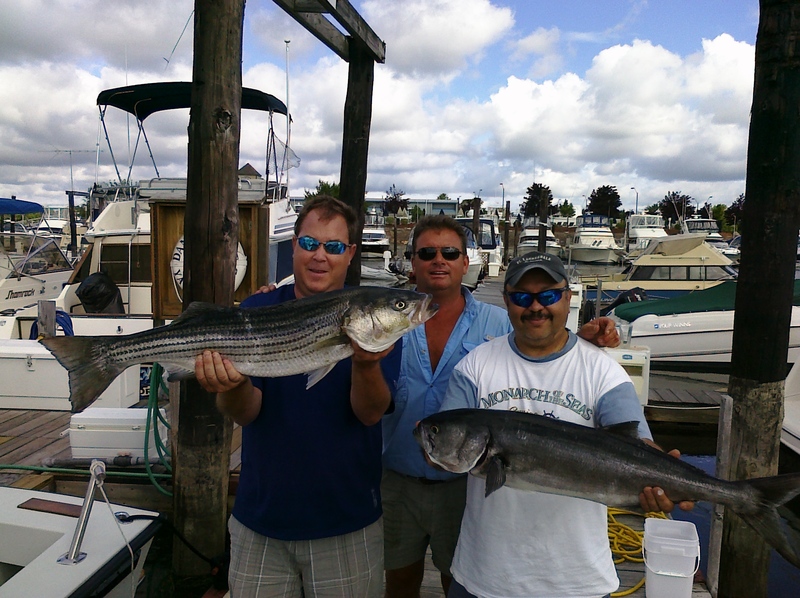 Joe Arria had a great week trolling his 9ER rig, picking up a 35” bass and a 36” bluefish. And the flounder haven’t retreated just yet. The bite was on this week for Jim Soper and Pat Corkum, who caught 10 keepers off of Deer Island Sunday morning. So don’t give up on these guys just yet. If you haven’t hit the flats for the flatties, get out there. Perseverance pays off in a big way…46lbs of big! I went fishing yesterday with my friend Mike, who boats up in Newburyport. He belongs to the Freedom Boat club so he reserved the 25ft Bluefin for a day of fishing. 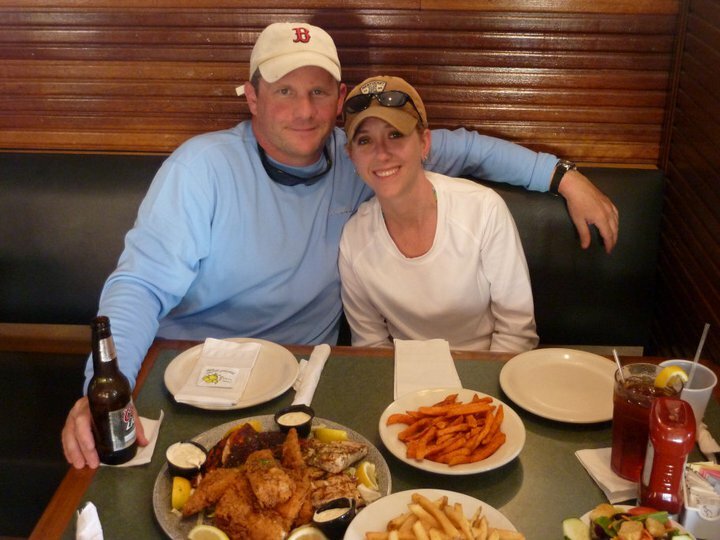 Mike invited one of his clients to go out with us in hopes of showing him a thing or two about fishing the Merrimack River. I have been told many times I am an anomaly. And for the most part, I have to agree with pride. I like unique styles of jewelry, cake frosting from a can vs. home-made, and a special date going out with my husband would be fishing. So as our 2nd year wedding anniversary approached, my husband wanted to do something special for me to show his love. Although it wasn’t jewelry, the gift was shiny and beautiful and a gift I would always remember.